Even as the Mirage IIIC was entering production, Dassault was planning a true multi-role version of the Mirage III by adding a 12 inch extension behind the cockpit to house additional avionics. The Mirage IIIR was the reconnaissance version which was based upon the Mirage IIIE airframe, Mirage IIIC avionics, and the radar nose replaced with a recce nose. You'll love these instructions - Italeri is using their CAD drawings to illustrate the assembly steps and while there are 52 pages and 44 assembly steps, each step contains a limited number of parts to make the process move along steadily. The instructions do note that ballast is required in the radome to keep the model from becoming a tail sitter. Since no recommended weight is provided, I would suggest putting the radome on after you've added the landing gear (usually after painting for many of us) so you can find the right weight for your configuration. 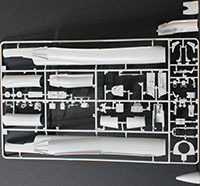 Italeri's Mirage IIIC kit is not only the best kit of the subject in 1/32, it is the best in any scale (< 1:1). 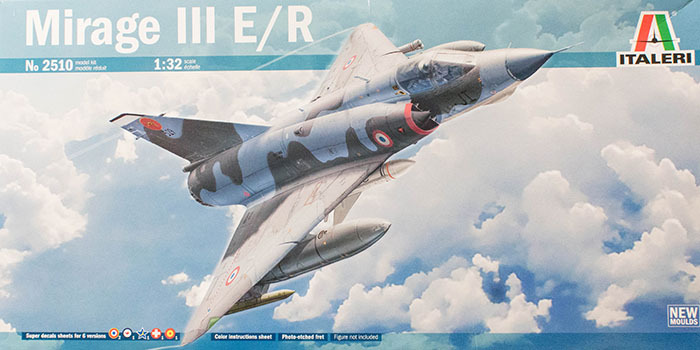 This follow-up release of the Mirage IIIE and Mirage IIIR gain the same distinction as well.